Are you searching for Punjab & Haryana High Court Recruitment 2019? If Yes, There is good news for you. Subordinate Court of Haryana has released notification for recruiting aspirants on 352 Clerk Vacancies. Interested candidates must collect eligibility criteria details from here. Online Registration for Punjab & Haryana High Court Vacancy 2019 is going to start from 07 January 2019. Eligible participants must fill up their application form before the last date that is 04 February 2019. For further more information applicants may refer to the given below section. What Are The Important Date For Punjab & Haryana High Court Vacancy 2019? What Are The Eligibility Criteria For Punjab And Haryana High Court Clerk Recruitment 2017 ? How Can I Register For Punjab And Haryana High Court Recruitment 2017 at highcourtchd.gov.in ? 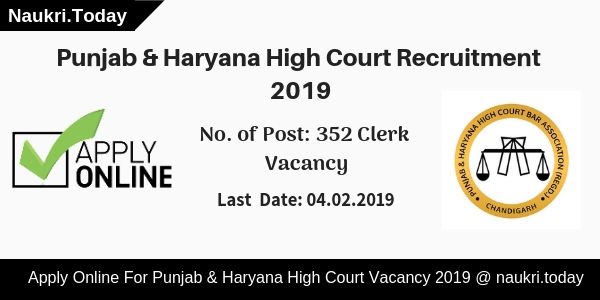 Latest Update as on 04.02.2019: Candidates who are looking for Clerk vacancy can apply online for Punjab & Haryana HC Recruitment. Participants should not delay any more to fill application form. Today is the last date to apply online for Punjab & Haryana High Court Jobs. Fresh Update as on 19.01.2019: Hello Friends, Punjab & Haryana High Court Recruitment 2019 is available for 352 Clerk Vacancies. Registration for Clerk Posts is going to close on 04.02.2019. Applicants should apply online for PHHC Jobs 2019 form links given here. The Closing Date To Apply online for Punjab & Haryana High Court Recruitment: 04.02.2019 11:59 P.M. Deadline for Fill Up Step II of Registration Form: 07.02.2019 11:59 P.M. Closing Date for editing Punjab & Haryana High Court Jobs 2019 Application Form: 07.02.2019 11: 59 P.M. Candidates must fill up their application form carefully. If any mistake found in your application form their form will be rejected. Participants should check here eligibility criteria before applying. Here we gave you a link to apply for PHHC Jobs 2019. Applicants must have Bachelors Degree in Arts and Science can apply for Punjab & Haryana High Court Recruitment 2019. Aspirants who have passed their Matriculation examination with Hindi as one of the subjects can fill up their application form for Punjab & Haryana High Court Vacancy 2019. A Graduation Degrees should be affiliated form recognized university or institution of government. 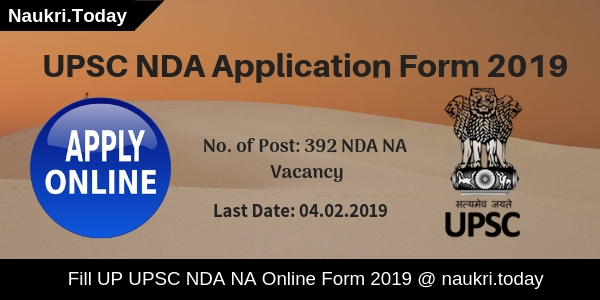 For further more details aspirants may refer to the official Punjab & Haryana High Court Notification 2019. Participants must be 18 years old and not more than 42 years old are eligible for Punjab & Haryana High Court Bharti 2019. The Department may also provide age relaxation to the reserved category as per department rule. The Department has provided 5 years of age relaxation to the all reserved category candidates. For furthermore information aspirants may download Punjab & Haryana High Court Clerk Notification 2019. Candidates who are going to participate in examination need to pay some amount as an application fee for Punjab & Haryana High Court Bharti 2019. Here we provided you table which consists of category wise amount for the payment of an application fee for Punjab & Haryana High Court Recruitment 2019. Aspirants must submit their application fee only through Cash Deposition Receipt. No other method for the payment of application fee will be excepted. Selection of aspirants will take place on the basis of Written examination and Interview. A written examination consists of two papers such as General Knowledge & English Composition. Each Subject consists of 50 marks. Candidates must obtain minimum marks to qualify in the written examination. Applicants who get pass in written examination will call for personal interview. For more details, candidates may download Punjab & Haryana High Court Vacancy 2019 Notification. The Department will pay a good amount of salary to the selected candidates for clerk posts. Candidates will get their salary as per Punjab & Haryana High Court Latest Policy. Candidates may apply online For Punjab & Haryana High Court Jobs 2019 form link given below. Candidates should log on to the official website of Punjab & Haryana High Court i.e. highcourtchd.gov.in. Read complete notification carefully before applying. Check Eligibility Criteria and much more form the Official Notification of Punjab & Haryana High Court Recruitment 2019. Eligible candidates may fill up application form before the last date. Submit their application fee through Cash Deposition only. Must keep a copy of an application form for feature use. Conclusion: Punjab and Haryana High Court Department have issued notification regarding 352 Clerk Vacancies. Interested candidates may apply online for Punjab & Haryana High Court Recruitment 2019. For more information candidates may refer to the above article. Govt. Job seekers there is great news for you that notification for Punjab & Haryana High Court Recruitment 2017 has been published. Recently Subordinate Courts of Punjab & Haryana has announced the notification for SSSC 229 Stenographer Grade III Vacancy. This is good Opportunity for the job Seeker looking for a job in Haryana and Punjab can Apply for Punjab and Haryana High Court Vacancy 2017. Applicants if you are eligible for the Punjab & Haryana High Court exam then apply online through its website on or before 18.04.2017. Know About Punjab & Haryana High Court : Centralized Recruitment of staff in Subordinate Courts was defined under High Court of Punjab & Haryana. The establishment of Department was done to conduct various recruitments. It conducts recruitments for Post of Stenographer Grade III and Driver. It conducts on the behalf of District and Session Judges of the State of Punjab,Haryana and UT Chandigarh. This is great chance for the candidates searching jobs in High Court Department. For More Details related to Eligibility Criteria check Punjab & Haryana High Court Recruitment. Education Qualification for PHHC Stenographer Job : Candidate applying for Stenographer Job in Punjab and Haryana High Court should have done graduation in Bachelor of Arts or Bachelor of Science. Applicant Should also know Punjabi Language. 4. Ex-servicemen of Punjab 18 Years No of years in Military Services + 3 years. Salary Structure For SSSC 229 Stenographer Vacancy : Selected candidates for Punjab & Haryana Recruitment will be paid Rs. 5910/- to Rs. 20,200/- with Grade Pay of Rs. 2800/-. Mode of Selection in Punjab and Haryana High Court Job 2017 : Applicant going to apply for Stenographer vacancy have to pass English shorthand Test, Punjabi Shorthand Test and Computer Proficiency Test conducted by Society For Centralized Recruitment Of Staff In Subordinate Courts. After which merit list is based on the basis of English shorthand Test, Punjabi Shorthand Test and Selected candidate will be called for an interview. High Court of Punjab and Haryana has released a notification for Stenographer Jobs. Candidate who are eligible, then they are applied for this Punjab Haryana High Court Recruitment 2017. Applied candidate can fill this application form before the last date 18th April 2017. If any problem then candidate can follow the given below step to apply Punjab and Haryana High Court Application Form. At first open the official website sssc.gov.in. Click on the High Court Clerk Jobs notification link. Read the complete details of the Clerk Recruitment. Fill the complete required details and submit it. After submitting pay the application fee. Conclusion : Subordinate Courts of Punjab & Haryana releases the Punjab and Haryana High Court Recruitment 2017 notification for SSSC 229 Stenographer Post. Candidates who are eligible for this exam may submit the application form before last date 18th April 2017. Further recruitment details may be fetched through its notification. Society for Centralized Recruitment of Staff in Subordinate Courts under High Court of Punjab and Haryana (SSSC) announced most awaited Clerk Vacancy in Sub Ordinate Courts of Haryana. This is a very good news for all of them, looking PHHC Clerk Vacancy 2017. Eligible & Interested candidate may submit their Punjab Haryana High Court Recruitment 2017 Application Form in online mode from 26th December 2016 only at highcourtchd.gov.in. Registration lines will be activate till 23rd January 2017 up to 11.59 pm. More detail about High Court Chandigarh Recruitment 2017 Age, Education, Fee, Selection Criteria, Apply Process, Important Dates more detail are given below. Subordinate Courts of Punjab is defined under High Court of Punjab & Haryana. It controls society of centralizes Recruitment of Staff. The reason behind the establishment of the department is to conduct various recruitment. Subordinate Court of Punjab mainly conduct recruitment for Clerk,Stenographer Grade III and Driver Posts. Recently it has published the notification for Peon, Safai Sewak and other posts. Recently it has announced Punjab Haryana High Court Recruitment 2017 Notification for SSSC 327 Clerk Vacancy. More detail is given below. Organization Name : Society for Centralized Recruitment of Staff in Subordinate Courts under High Court of Punjab and Haryana (SSSC). Name of Department : District and Session Judges of the State Of Haryana. Exam Name : PHHC Clerk Recruitment Exam 2017. Name Of Post : Clerk. Official Site For PHHC Portal : highcourtchd.gov.in / www.sssc.gov.in. 1. General : 133 Post. 2. SC/ST Of Haryana : 73 Post. 3. BC Of Haryana : 66 Post. 4. PHC Of Haryana : 05 Post. Starting Date For Submission PHHC Clerk Vacancy 2017 Form : 26.12.2016. Last Date For Completing Registration Part I : 23.01.2017 up to 11.59 P.M.
Last Date For Depositing High Court Chandigarh Recruitment Application Fee : 25.01.2017 [With in Bank Hours]. Last Date For Completion Punjab Haryana High Court Recruitment 2017 Part II : 27.01.2017 11.59 P.M.
Last Date for Editing in Submitted SSSC Job Application Form : 27.01.2017 11.59 P.M.
Punjab Haryana Clerk Written Examination Date : March / April 2017. Age Limit for CHD High Court Recruitment Of Clerk Post, will be minimum 18 years and maximum 42 years. Upper age relaxation is applicable as per Govt. Rules. Category wise age details for PHHC Clerk Vacancy 2017, is given below. 1. General : 18 years to 42 years. 2. SC/ST Of Haryana : 18 years to 42 years. 3. BC of Haryana : 18 years to 47 years. 4. Ex-Serviceman Of Haryana : 18 years to 45 years. 5. PHC OF Haryana : 10 years relaxation. 6. In Service Employee : 18 years to 45 years. Interested in apply for Chandigarh High Court Clerk Recruitment 2017, must have possess a Degree Of Bachelor of Arts / Science or its equivalent from a recognized University. Participants must have passed Matriculation Examination with Hindi and have proficiency in Operation Of Computers (Word Processing and Spread Sheet). All those candidates, who will applying for Punjab and Haryana High Court Jobs 2016-17, those selection will be made on the basis of Written Examination. Punjab Haryana Clerk Written Examination will be held by Central Recruitment Committee. Written test passed candidates shall be called for Computer Proficiency Test (CPT). Punjab Haryana Clerk salary, pay and allowances of the selected candidates will be governed as per the latest rules and instructions adopted by Haryana Government. Candidate may download Punjab Haryana High Court Recruitment 2017 Notification to check complete info about pay scale & salary for Clerk Jobs. High Court of Punjab and Haryana – Central Recruitment Committee scheduled Chandigarh High Court Clerk Recruitment 2017 Written Test in month of March / April 2017. Candidates who have registered for Punjab Haryana High Court Recruitment 2017, can appear in the written test. All the candidates, who have interested in apply for High Court Chandigarh Recruitment 2017 Clerk Post, they must apply in online mode. Before apply, candidate should ensure about recruitment eligibility criteria for Punjab Haryana SSSC 327 Clerk Vacancy. Candidates may register themselves between 26.01.2016 to 23.01.2017. If anybody should face any problem in to fill up Punjab And Haryana High Court Jobs Application Form. Process of submission PHHC Clerk Vacancy 2017 Form, is given below. 1. First Of All, Visit High Court Of Punjab & Haryana Official site : www.highcourtchd.gov.in. 2. Go to Recruitment Section > Society For Centralized Recruitment (SSSC). 3. 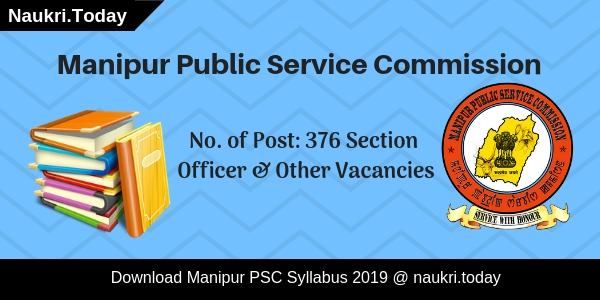 Download Recruitment Notification For SSSC 327 Clerk Vacancy. 4. Read complete detail of phhc job notification 2017. 5. After all, click to Online Application From. 6. Now fill the complete & Pay Application Fee. 7. After submission of Punjab And Haryana High Court Recruitment 2017 Form, print a hard copy of form & fee paid receipt for future use. Conclusion : Society for Centralized Recruitment of Staff in Subordinate Courts under High Court of Punjab and Haryana (SSSC) announced SSSC 327 Clerk Vacancy in District and Session Judges of the State Of Haryana. Punjab Haryana High Court Recruitment 2017 Registrations can be done till 23.01.2017.